The Supreme Court today appointed a four member panel headed by former CAG Vinod Rai to administer the day to day affairs of the BCCI after the removal of its president Anurag Thakur and Secretary Ajay Shirke for non-implementation of Lodha panel reforms. A bench headed by Justice Dipak Misra said the CEO of BCCI shall henceforth report to the newly formed committee of administrators. Apart from Rai who will be Chairman of the panel, other members of the committee are historian and writer Ramachandra Guha, CEO of IDFC bank Vikram Limaye and former Indian Womens cricket captain Diana Eduljee. The bench also appointed Limaye, BCCI Joint secretary Amitabh Choudhury and its treasurer Anirudh Chowdhury to represent BCCI in the ICC meeting scheduled for February. The committee's first job is to ascertain which of the orders of Lodha panel has so far been complied by the BCCI and which of them have not been implemented, and submit a report within six weeks. On january 24, in a new twist in the BCCI Vs Lodha panel case, the Supreme Court said it was open to include among the Board's administrators names which will be suggested by BCCI and Centre also for "holistic approach". This meant that the court was not agreeable to blindly accept the names submitted by amicus Gopal Subramanium and another panel member Anil Divan in toto and is willing for wider consultation. 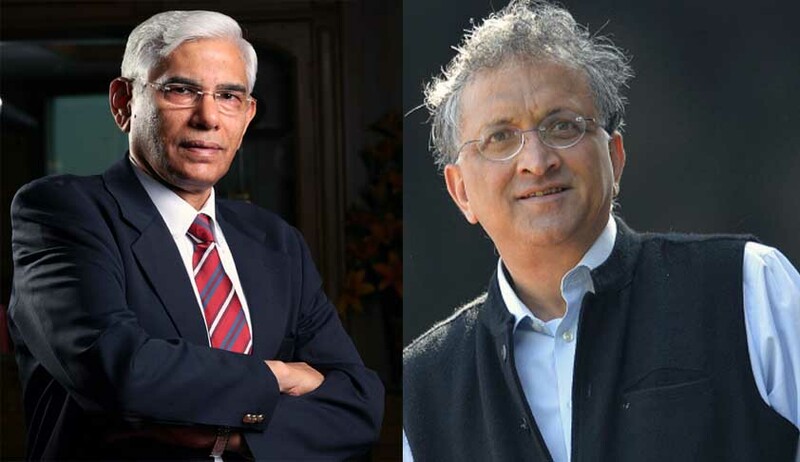 A three judge bench headed by Justice Dipak Misra had asked senior lawyers Arvind Datar and Kapil Sibal for the BCCI and Attorney General Mukul Rohatgi for Centre to submit the names. Mukul Rohatgi represented the Armed Forces, Railways and Universities, whose associations were given half (associate) membership and no voting rights. He sought restoration of earlier status and full voting rights. Senior lawyer Kapil Sibal (for BCCI) joined Rohatgi in attacking the Lodha panel recommendations and sensing a chance in retirement of justice of Thakur attacked his original judgment which made the implementation of reforms mandatory. Coming down heavily on the defiant BCCI brass, the bench headed by then Chief Justice T S Thakur had removed Anurag Thakur and Ajay Shirke as President and Secretary for obstructing and impeding its directions for overhauling governance in the cricket body by implementing the Lodha panel reforms. Removing the two, the bench said the adminisration of the board will now be overseen by a committee of administrators appointed by the SC. Acknowledging that it has been forced to take coercive steps to mend matters in the Board, the court ordered that till the committee is formed, its administration will be headed by the senior-most Vice President while the senior-most Joint Secretary will perform the duties of Secretary. Notwithstanding the curative petitions filed by the BCCI, which was seen as a ruse for continuance of some office bearers, the court set out conditions based on Lodha committee recommendations for their removal--like bar on those 70 years, ministers, civil servants and those in positions beyond 9 years. The court had also slapped Thakur with contempt and perjury notices for filing a false affidavit over writing to ICC on the issue of autonomy. The President and Secretary and office bearers of BCCI have obstructed the implementation of the final directions of this Court on the basis of a specious plea that its State Associations are not willing to abide by the directions, the bench had said. It slammed Thakur saying his actions and conduct rendered himself unfit for continuance as President of BCCI and he is liable to be proceeded with for contempt of court for having obstructed and impeded the orders of this Court. The top court issued show cause notice to Thakur to explain as to why he should not be prosecuted under Section 195 read with Section 340 of the CrPC for filing false affidavit before it that he did not sought letter from ICC president Shashank Manohar on the recommendation for appointment of CAG nominee in board would amount to government interference. The conduct of the President of BCCI in seeking a letter from the President of ICC in August 2016, after the final judgement and Order of this Court, is nothing but an attempt on the part of the head of BCCI to evade complying, with the Order of this Court, the apex court had said while issuing show cause notice to Thakur to respond as to why he should not be proceeded against for the contempt of court. The apex court said that a committee of administrators shall supervise the administration of BCCI through its Chief Executive Officer and directed that till then the senior-most Vice-President of BCCI shall perform the duties of the President and the Joint Secretary shall perform the duties of Secretary.